USD was empowered after Fed’s Fischer comments. 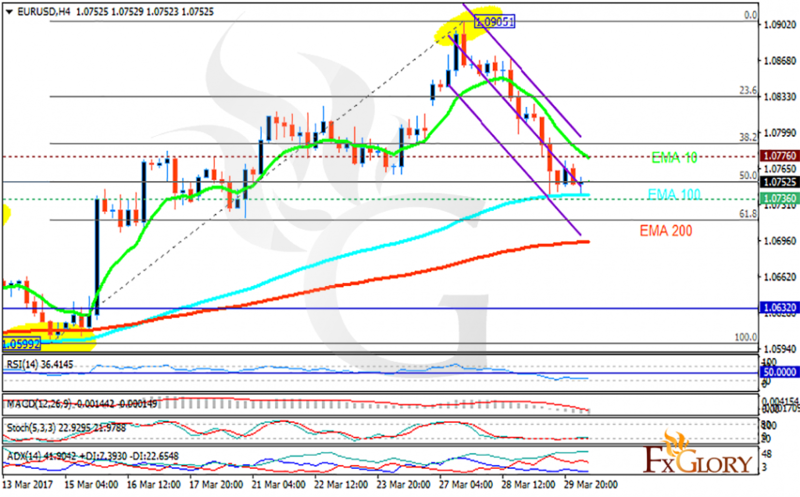 The support rests at 1.07360 with resistance at 1.07760 which both lines are above the monthly pivot point at 1.06320. The EMA of 10 is moving with bearish bias along the descendant channel but it is above the EMA of 100 and 200. The RSI is moving horizontally in the oversold area, the Stochastic is moving in low ranges and the MACD indicator is in neutral territory. The ADX is showing buy signals. The support area seems to be strong to be broken although, 61.8 level of Fibonacci may be reached today. Taking a long term look, buyers can target 1.09.